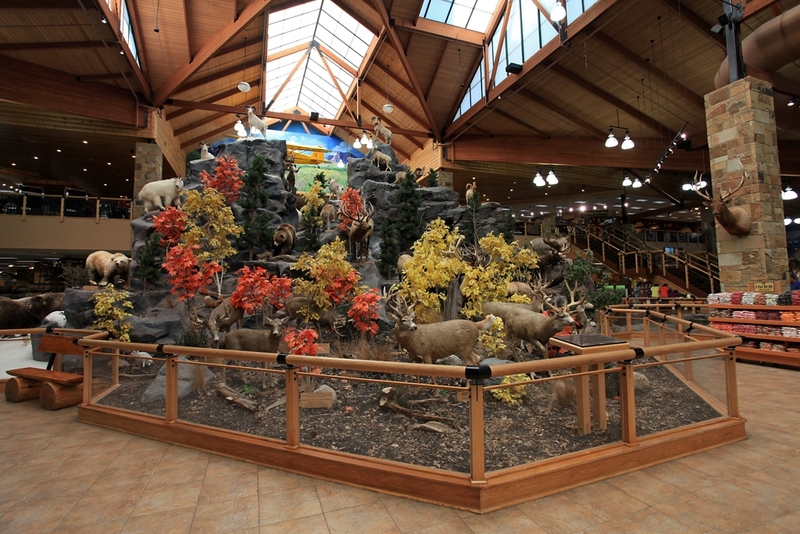 Cabela's A theme park / store for hunters and outdoorsy folk. This is the statue in front of the store showing a kid being rescued by a reliable cow-gentleman. 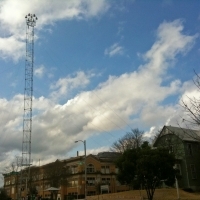 When we got to Texas, I really wanted to find something to shock Alana in its Texosity, something so big and over the top and ostentatious (or should I say Austin-tatious HA!) that she would immediately understand what I had been talking about for the last 17 years since I left Texas. When we finally found the place that fit the bill I was more surprised then she was. That place was Cabela’s retail store in Buda just south of Austin. 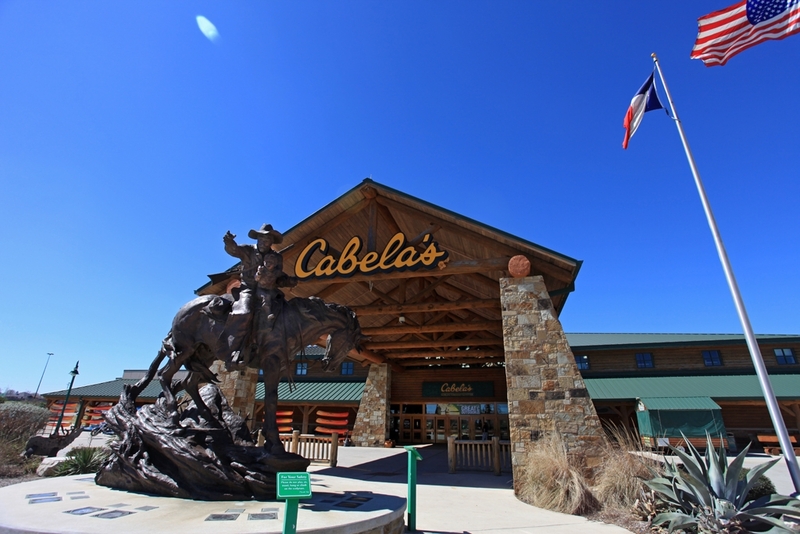 Now, Cabela’s isn’t strictly Texan, but they might as well be. 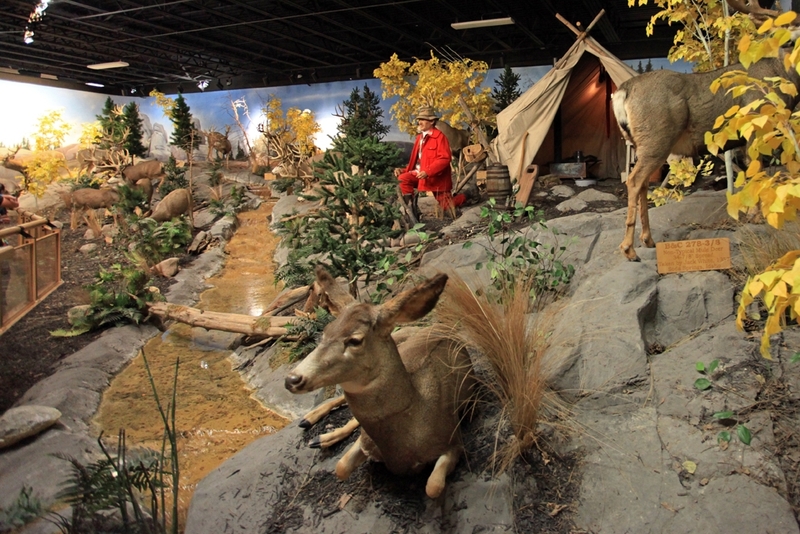 For those that haven’t heard of it before, Cabela’s specializes in selling hunting and outdoorsy stuff, everything from clothing and tents, to boats and guns, to artificial turkeys and cowboy hats, to radar systems for boats to bows and arrows, you get the idea. They are a direct marketing powerhouse, shipping out over 120 million catalogs a year, but they also have 31 retail stores. The magic of these retail stores is not the stuff they sell, but how they sell it. Firstly the store is designed to look like it is in a national park, not to say that it is majestic or impressive, but rather that it is made from logs and rocks. Once you come in, you are immediately overwhelmed by the size of the space, the one we went to was probably about 150,000 sq feet with very high ceilings (one of the other stores is 250,000 sq ft). The anchor to the main room is basically a taxidermied biosphere. It’s an artificial mountain, about 60 feet tall that is covered with every kind of animal in various modes of repose. It is like a little planet with every kind of (American) nature represented, mountain goats, bears (black, brown, grizzly, and polar), coyotes staking little birds (sadly not a roadrunner though) a beaver dam with real fish swimming around the stuffed beavers, birds, mountain lions, bison, elk, deer, wild boars, and really too much to keep going on with. Also there is an airplane flying over it all. Cabela's Animatronic Hunter This guy moves around sorta herky-jerky like and talks about all of the dead animals in the room. Off to the right they have separated the African animals into another lifesized diorama - you know just to keep things realistic. This is where the lions, tigers, elephants, zebra etc... are at. Over on the left side of the store is the Big Game Room, which houses all of the trophy bucks. Along the wall are heads mounted on plaques, and an island in the center has a crowd of deer and elk and moose improbably hanging out together. Under each of the trophy bucks is the unintentionally hilarious story about how the hunter killed it. And then around the outside is another dioramic scene that has an animatronic hunter hanging out in his campsite telling you about the animals in the scene. Elsewhere in the store is a beautiful huge aquarium with a river environment, full of bass, trout, catfish, bluegill and other specimens that a fisherman is likely to catch in these parts. 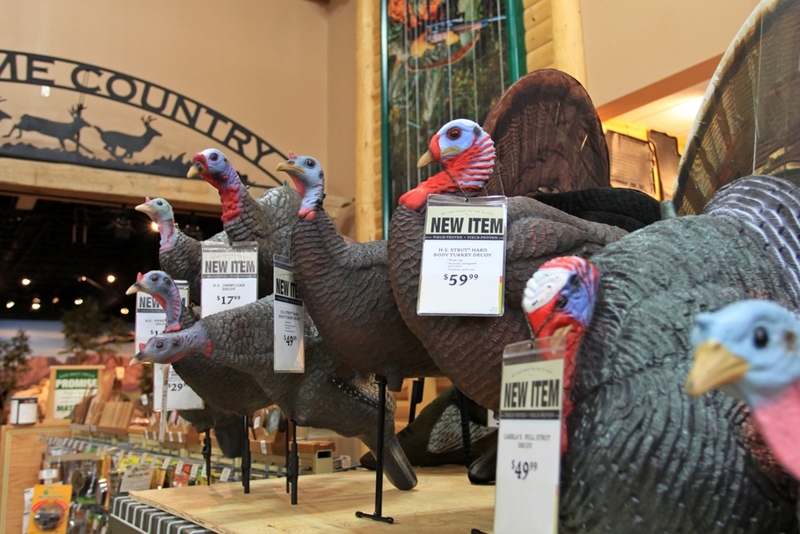 Cabela's Artificial Turkey's A row of decoy or target practice turkeys. In the bow and arrow room, they also had styrofoam target practice coyotes and deer. Cabela's Gun Library® offers the discriminating sportsman and firearm enthusiast an exceptional selection of classic antique, collectible and fine sporting firearms. It’s actually worth checking out their site for the library here if you like old firearms. The craftsmanship on some of these guns is amazing. 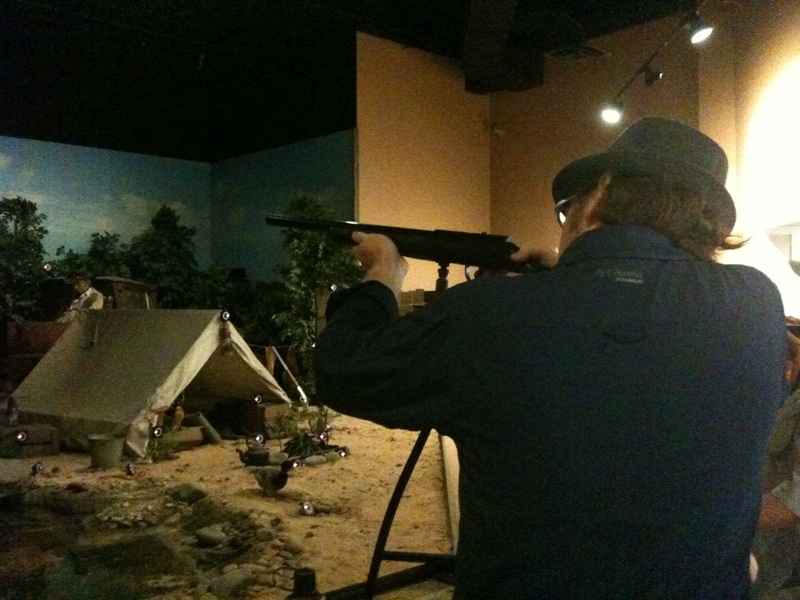 at cabela's Paul took part in a game where you shoot as many animals at your backwoods hunting cabin (with a fake rifle) as you can in 1 minute. We visited on a weekend and the place was packed. There were tons of families there that were clearly just making a day out of it. People loved it, and I have to say, I really wanted to just make fun of it at first, but it is a remarkable experience. 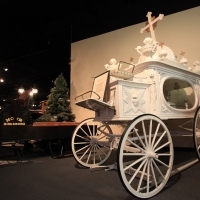 Everything is very well done, the taxidermy is all top notch and the layout of the place really draws you in. You have to admire the commitment to experience design to create a retail experience like this, I wish other brands would jump into creating a world like this for their customers. I think everyone should see this, but I especially recommend this to our non-American friends, there is no higher form of USA-USA-USA! kitch than Cabela’s.